Life expectancy : Over one million cycles (lab tested in ideal condition). Air Quality : Lubricated, filtered and free of moisture. Shop air or dry instrument quality air. Accessories : Air lock, position indicating limit switch box, solenoid valve, filter regulator gauge, Other accessories available on application. Application : For control of air, water, gas, steam in textile, power generator, paper & pulp, chemical, petrochemical industries, PSA nitrogen system, air dryers, gas generators & others. Back Pressure : Suitable upto 2.5 bar. Features :'AVCON' 2-Way Metal Body Wafer Type Butterfly Valves, Rubberlined Design with Quarter Turn.. 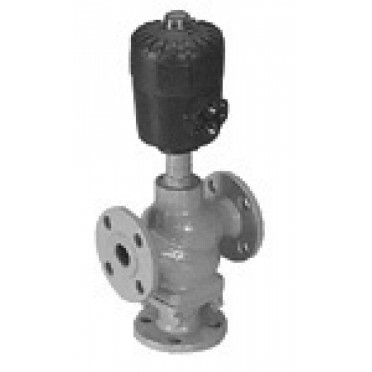 Features :2-Way Ball Valves in Plastic Body with 90° Electric ActuatorActuator can be fitted with on..